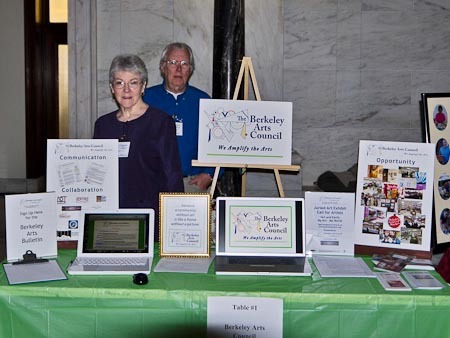 The Berkeley Arts Council was one of 52 arts organizations from all over the state that set up displays for the Arts Day at the Capitol event in Charleston. 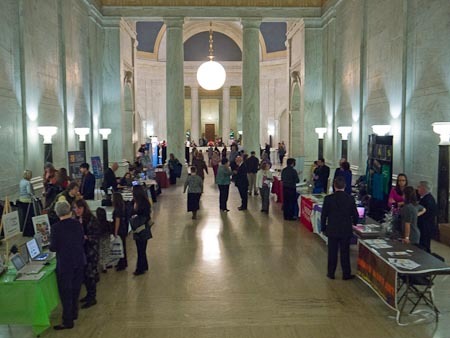 Our goal was to participate in a strong showing of support for the arts and take advantage of the opportunity to talk with our state legislators about why we believe that they should support the arts. We also talked about our partner organizations and other collaborative relationships as we continue to build opportunities for our arts community. Our display emphasized three main themes: communication, collaboration, and opportunity. We also took advantage of the opportunity to learn about other arts programs throughout the state and to talk with other arts leaders as well as staff from the Commission on the Arts. Overall it was an interesting and informative day.